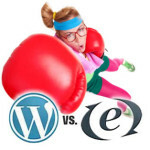 Home » Development » Web Developer: Word Press vs Expression Engine – Who Wins? 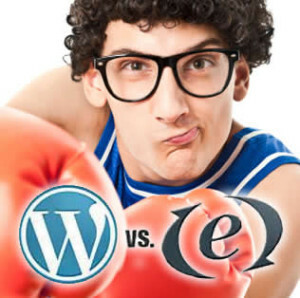 I have heard lots of varying opinions on which CMS is better: Word Press or Expression Engine. However, the real question is: Who is it better for? I’ve decided I needed to produce a series of articles that identifies this argument for each user involved. Pros amp; Cons of EE vs WP. Which one is better for WEB DEVELOPERS? Web Developers with PHP skills often choose Word Press over Expression Engine (and other CMS systems). As a web developer you should have some knowledge on how to write PHP. In order to fully customize and work with WordPress you need to know how to code in PHP. Knowledge and experience in PHP allows agile developers to fully explore all the possibilities of creativity available with WP. If you are not a PHP ninja (Hi Ivan! ), WP may not be perfect for you and you may want to check out other CMS platforms like Expression Engine. If you are a C# developer or ASP developer you may want to check out umbraco.com (threw up in my mouth a little). There is a happy WP vs EE medium out there called Concrete5. I think of C5 as if EE amp; WP got together and produced a flexible/slightly refined offspring. We are from Abilene Texas and Abilene Web Developers often talk about which is a better platform. One other thing to clear up- I do like Expression Engine. However, as a web developer it can feel a little like fighting with one hand tied behind your back. Expression Engine is easy enough to build around with everything you need readily available with the purchase of a few modules. Word Press usually doesn’t have all that you need right up front, which is one reason Designers sometimes prefer other CMS platforms. With WP you have to search for the right plugins and sometimes need to edit them to make them do exactly what you want or to get them to work at all. It can be a bit time consuming at first, but once you know it well enough there is no issue. That is the biggest problem with Word Press. Since it is free and so popular, there are no set standards for plugin creation. For every 1 great, well made WP site, there are 100 poorly made atrocities. Simple to admin – need to update content frequently? Why does DreamSpectrum like Word Press over Expression Engine? Let’s get this straight, we employ both Word Press and Expression Engine. As a versatile development company with web designers, graphic designers, copy writers, growth hackers and software developers, we have the resources to produce any product a client desires. We are not handcuffed to Expression Engine because of a lack in PHP knowledge. Word Press provides an easy and flexible system that we can rapidly develop amp; deploy custom modules on a solid CMS framework. Using Word Press allows us to stay focused on the client’s needs and not our own financial gain. The truth is, developers get into developing because they love the work, not just making money. As long as the bills are paid, we are passionate about solving problems. That’s why some of the best software out there to date, is written as OpenSource. 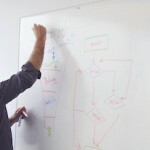 We build on and utilize free-to-use and collaborative software in order to produce the most powerful solutions possible. We use Word Press because we are code ninjas and our experience with it makes it easier to use. Also, there is no reason to have to pay a fee to use a CMS like Expression Engine if we don’t have to, or pass that additional charge onto anyone else.